COMMENTS: As the world teeters economically as well as politically, many are predicting a major market and hence economic collapse, which could lead to wars. Gold is the age-old safe haven for dangerous times. Despite the increasing world negative outlooks, its price remains depressed and, some are claiming that it is kept so artificially by the mega rich elite, Wall Street, big banks, etc. to protect their markets. It certainly has gone down recently as a result of the rise in US Dollar exchange price. Regardless what is the real cause of dull gold prices, there is now talk of reaching “Peak Gold”. The past 40-year trend of increasing production has more or less stopped and may begin to reverse. No new gold deposits are being discovered. NEGATIVE FOR: To the world financial system. Gold is one of the important financial instruments and products. Even rumors of a “peak Gold” could shoot its price sky high and distort markets and economies. 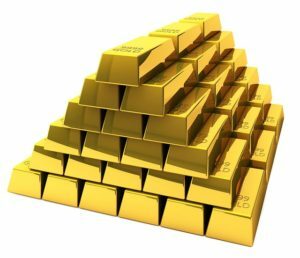 POSITIVE FOR: The big hoarders of gold such as the US, Russia, China and India (If it can get its hands on the citizens’ gold). Previous Previous post: Pessimism or Optimism?